New Delhi, January 18: Recent weeks saw two foreign ministers’ meetings debating terrorism and Afghanistan in Kabul (Afghanistan) and Samarkand (Uzbekistan). The first one, in mid-December, was the Second Round of the China-Afghanistan-Pakistan trilateral followed by the inaugural India-Central Asia dialogue. The second one, this Sunday, saw foreign ministers of India and Afghanistan meeting their counterparts from Kazakhstan, Tajikistan, Turkestan, Kyrgyzstan and host Uzbekistan. Later this year, Uzbekistan will also be hosting the 8th round of Regional Economic Cooperation Conference on Afghanistan that involves about three dozen countries, including Iran, which is the only neighbor that was not present in the above two meetings. Terrorism and Afghanistan have come to be synonymous and central to most multilateral deliberations. Repeated US calls about its exit strategies have made its neighbors especially awake to exploring regional solutions. But, while they express shared anxieties, they continue to differ on how to address the menace. Both these multilaterals, for example, verbatim reiterated their resolve to fight “terrorism in all its forms and manifestations” yet beyond that, semantics begin to betray their persistent disjunctions. For example, while the trilateral last month saw China and Pakistan standing firm on their commitment to “Afghan-led and Afghan-owned” reconciliation process, the India-Central Asia multilateral goes a step further calling for an “Afghan-led, Afghan-owned and Afghan-controlled” peace and reconciliation. The later also proposed setting up of an India-Central Asia Group of Development as also the India-Central Asia Business Council with Afghanistan as an integral part of their annual multilateral dialogues thereby ‘broad-basing’ their approach to countering terrorism in Afghanistan. The China-Pakistan-Afghanistan approach, by comparison, remains much more pragmatic and focused on pushing Taliban back to the negotiating table and into the political mainstream. These three talk of further strengthening counter-terrorism coordination in an effort to combat all terrorist groups and individuals without any discrimination. China and Pakistan have had major difficulties in entertaining New Delhi’s requests for naming terrorist outfits and individuals of concern to India. More specifically, these three agreed to counter terrorist’ logistical capabilities including, denying terrorists any use of the internet and to take joint steps for de-radicalization and to work together to break the nexus between narco-trade and terror financing. They signed a MoU to push forward their counterterrorism cooperation. All these measures are to be implemented using their existing trilateral Vice-Ministerial Strategic Dialogue, Vice-Ministerial Consultations on Counterterrorism and Directors’ General’ Practical Cooperation as well as other relevant mechanisms. These minor disjunctions begin to go deeper in their narratives and strategies in addressing terrorism in other neighboring nations, say India or Sri Lanka. This is especially true of their assessments about the success or failures of counterterrorism strategies of these other neighboring nations. Such mutual disjunctions allude to underlying vulnerabilities in evolving regional solutions to terrorism in Afghanistan and beyond. The fundamental limitation in synergizing strategies the lack of an agreed definition. In the absence of a consensus definition of terrorism, groupings of various hues continue debating between moderate and radical Taliban in Afghanistan, terrorists and freedom fights in Pakistan, and continue asking questions on Sri Lanka’s war on Liberation Tigers of Tamil Elam. Then there are typologies of religious terrorism, communal or ethno-nationalist terror, narco-terror, left-wing terror, state-terror and so on. Redressal strategies meanwhile continue to rely on myopic knee-jerk reactions often laced with contentious cultural-bound narratives; operations flowing from these remain perennially exposed to politically motivated criticism and protestations. Incidentally, long before the world woke up to this menace of terrorism, the South Asian Association for Regional Cooperation (SAARC) had adopted a Convention on Suppression of Terrorism in November 1987. But thanks to India-Pakistan contentions, the whole process of SAARC summits remains dysfunctional since 2016, if not before. 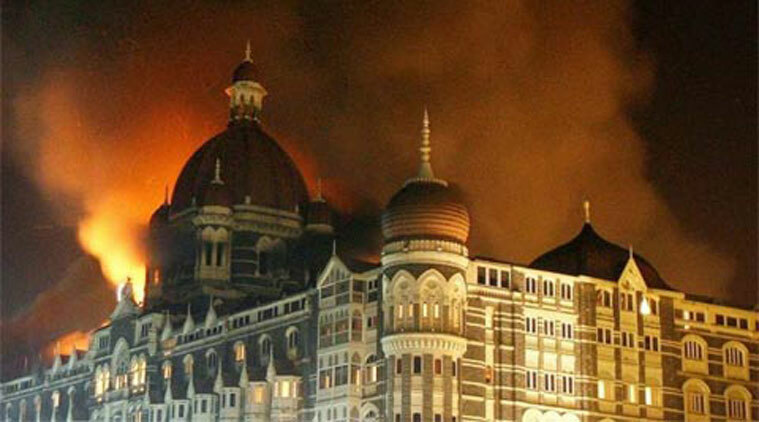 Likewise, India has been trying since 1996 to evolve a consensus over its proposed United Nations Comprehensive Convention on International Terrorism (CCIT) as a legal instrument for criminalizing terrorism. But again short term interests and political differences have not allowed nations to look beyond their narrow national interests. The most agreed definitions of terrorism rely on Schmid and Jongman’s 1988 volume Political Terrorism that defines it as an “anxiety-inspiring” method of repeated violent actions that seeks to hit two types of targets: (a) targets of opportunity that are easy and vulnerable and/or (b) representative targets that symbolise establishment or a community. Terrorists see these as “message-generators” to indirectly manipulate the real target which is very often the State or State units or State agencies. But this remains too abstract to generate actionable initiatives. No doubt, the 9/11 terrorist attacks had resulted in global awakening to terrorism not being a product of underdevelopment alone. This awakening has seen a whole spectrum of international legal instruments and mechanisms being invoked and evolved further to address various legal, financial, ethical and political components of security management. UN debates on the CCIT, for instance, has produced the International Convention on Suppression of Terrorist Bombing 1997, the International Convention on Financing of Terrorism 1999, and the International Convention for Suppression of Acts of Nuclear Terrorism 2005. The Financial Action Task Force (FATF), that was set up way back in 1989, has lately become hyperactive generating ‘grey lists’ of countries and using inspections and investigations to seek compliance. Last week the FATF issued alerts about threats emanating from North Korea alluding to ‘strategic deficiencies’ in anti-money-laundering measures by several nations including Pakistan and Sri Lanka. Indeed, Sri Lanka remains the most recent case of the elimination of extremism. This year marks the tenth anniversary of Sri Lanka’s war on the LTTE. But questions about betrayals, disappearances and deaths continue to haunt successive governments that continue to muddle through with sprinklings of reconstruction and reconciliation. K.M. de Silva’s Sri Lanka and the defense of LTTE (2012), underlines how reconciliation remains a far ‘more complex’ a challenge as it involves not just the government or the Sinhalese majority but Tamils and other minorities as well. Dhana Hughes’ Violence, Torture and Memory in Sri Lanka: Life after terror (2013) reinforces this argument by saying that much of the recent research has predominantly focused on the North and East between LTTE and the Sri Lankan State while intra-group violence in the South of the country has received little attention. So the case of Sri Lanka also defies a clear closure!